WASHINGTON — Rep. Trey Gowdy (R-S.C.) couldn’t say Thursday night if his all-day Benghazi hearing with Hillary Clinton revealed any new information. Gowdy, chairman of the House Select Committee on Benghazi, was asked by reporters what new details came from his panel’s 11 hours of grilling the former secretary of state over her response to the 2012 attack on a U.S. diplomatic compound in Benghazi. “Uh,” Gowdy said, pausing for several seconds. The fact that Gowdy couldn’t articulate the point of the hearing will only fuel Democrats’ criticisms that he’s using the panel to hurt Clinton’s 2016 White House bid. 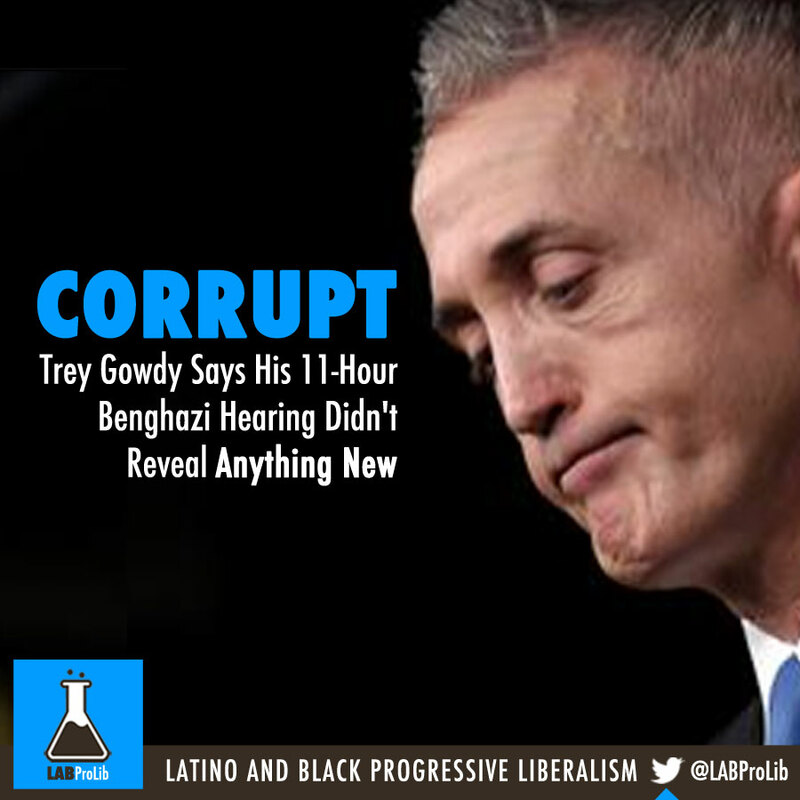 A couple of Republicans have said as much, too, though Gowdy insists he’s leading a legitimate investigation. So far, Gowdy’s probe has cost more than $4.5 million and hasn’t turned up much. He vowed Thursday night to keep digging, though. “We keep going on until we’re able to interview all the witnesses,” Gowdy told reporters. WATCH: UNDER PRESSURE HILLARY CLINTON "Dirt Off Your Shoulder"